With all of the controversy around genetically modified (GM) foods, it may seem impossible to think that the debate could get more intense, but it did recently when a genetically modified 'pharmaceutical' rice was approved for commercial use. The rice has human genes and has been modified in such a way that it produces human proteins, which are extracted to then produce anti-diarrhoeal medication. This is the first time that a crop has been commercially produced to contain human genes. Many people are afraid that such substances could end up contaminating other foods as well, meaning that they will unknowingly infiltrate the food supply. 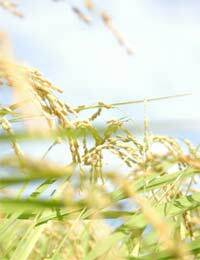 The rice produces human proteins – that are part of the human immune system – in its seeds. Proteins are removed and used as anti-diarrhoeal medication. Alternately, they could be included in traditionally healthier foods such as yoghurt or granola. The goal is to improve the health of children who suffer from diarrhoea by relieving their symptoms much more quickly and effectively. The company has stated that many protective systems will be in place to ensure that modified plants and their modified seeds are contained and prevented from contaminating nearby fields. However, previous studies with GM seeds have shown that contamination is virtually inevitable. With the issue of a pharmaceutical rice, these proteins could end up in a number of other foods – all unknown to those who consume the foods. But, what would the dangers actually be? Apparently, the proteins aren't dangerous to most people but a concern is that how much each person would consume will vary, which means there could be a problem at a higher dose. Also, a person could be allergic to the proteins. The company has engineered three kinds of rice. Every type has a different human gene, thus producing one of three human protein types. The first two are lactoferrin and lysozyme, both of which are known to fight bacteria and they are present in breast milk and saliva. Preliminary evidence has shown that if children who suffer from severe diarrhoea were given salt-rich fluids mixed with the proteins, they recovered one and a half days quicker than children who received salt-rich fluids alone. With two million children killed by severe diarrhoea each year in developing nations, diarrhoea is not the harmless problem it usually is when found in westernised countries – where kids suffer from the odd bout of the illness. While there do seem to be some important benefits of using GM foods as a way to provide a therapeutic, medical treatment for an illness such as diarrhoea, there are clearly concerns as well. Even though the company producing the GM rice has stated that there will be preventative systems in place to reduce the likelihood of contamination of nearby fields, previous research on the issue contrasts with the statement. A number of studies have been done on the issue of contamination. There are suggestions that by keeping other fields outside of a specified distance from the fields where GM crops are grown, contamination will be prevented. However, the approach is not a very accurate, scientific one and has shown a high failure rate as well. For now, it would seem that a great deal more research needs to be performed before the use of drugs and therapeutic medical treatments can be used in GM foods. Otherwise, there could be unintended consequences and health effects for humans.